The bottom screen now comes equipped with NFC (near field communication) technology, allowing the system to be compatible with Nintendo's Amiibo line of figurines straight out of the box. Considering the successful launch of the figurines and the vast possibilities of their applications in future titles, having this feature built into the New Nintendo 3DS will likely be one exploited often, more so than on the Wii U considering the quantity of titles the handheld produces over the home console. However, this is the only improvement to the touch screen. It maintains the resistive style display, which is less responsive and overall a poorer design choice than the standard capacitive displays found on most tablets and smart phones these days. The system has been beefed up under the hood, now sporting a quad-core processor. Until we see games developed specifically for the upgraded CPU, like Xenoblades Chronicles 3D, we won't be able to compare the graphical quality and increased content between the new and old 3DS models. What is immediately apparent is how fast everything runs on the New 3DS. Games boot up in a fraction of the time, load screens are almost instantaneous, and built-in apps run without delay. Finally, loading up the Miiverse doesn't require staring at those bobble-headed Miis dancing around the globe while listening to a sleep inducing lullaby for an entire minute. 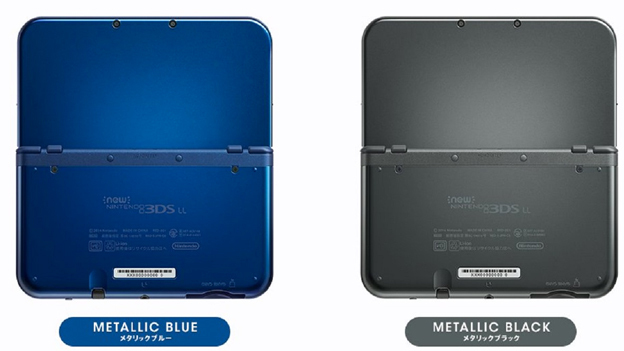 With the New Nintendo 3DS, you can play without delay. It's easy to look at the improved features the New Nintendo 3DS has plastered on its retail box or the Nintendo website and dismiss them as slight upgrades. Testing out the system yourself, however, will make you a believer. The more powerful processor, extra analog stick, and finally a 3D experience that lives up to the original hype are sizable enough enhancements to merit a purchase from every current 3DS owner and certainly those few still on the fence. It may not be "new", but it's certainly improved. Built-in Amiibo Support - Tap an Amiibo figure to the near-field communication (NFC) reader on the lower screen to enjoy Amiibo features in compatible games. Get bonus items and content, customize your character, and more when you use Amiibo figures (like Mario!) with Amiibo-compatible games. Faster Processing Power - Improved processing power allows for faster loading of applications, such as Miiverse and games. Plus the improved CPU performance allows you to enjoy faster speeds for downloading software.